"Be yourself" - message from Nelsonspirit Future Leaders Crew to their peers. Pictured: Nicola Cushion (Director of Nelsonspirit), with Ellen Flower (Future Leader, Taverham High School) and Charlie Smith (of YMCA Norfolk). 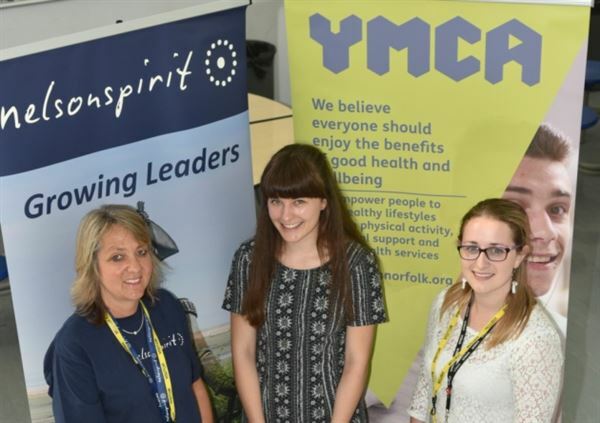 This leadership project which also involves Wymondham College and Norwich High School, is part of the Future Leaders Crew Challenge, to deliver a project with a charity that grows the young people as leaders as well as helps others in the community.